Which recovery module shall I select? "Advanced File Recovery": Recovering files with the following symptoms. partition inaccessible but is visiable in PC under "Disk Management". For any unstated data loss rescue, we recommend you to use "Deep Scan Recovery" to search lost files. Step Three: Select “Format Recovery” which is on the very left right corner to recover lost files from formatted drive as an example. Step Four: Select the partition which was formatted and then click “Recover” to search. And a box showing scanning devices will turn up. Step Five: When scanning device finished, there would be a partition which is formatted, be free to click “Show Files” which would list your lost files from your formatted hard drive. Step Six: After clicking “show files”, there will be a list of lost files, you can check whether it is your lost files by "File Preview" or the "Thumbnail" which is offered to preview lost images, office files so far. 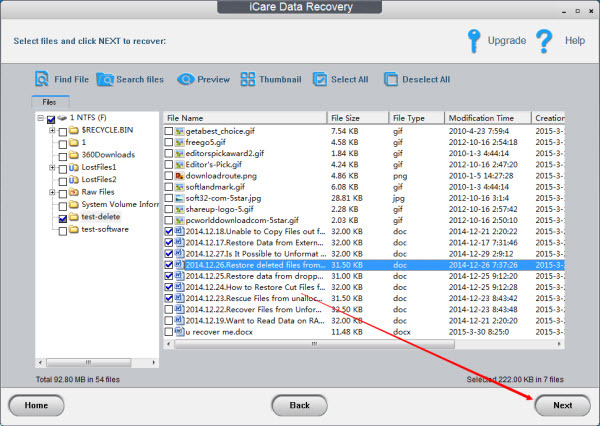 (as to files not previewed, once iCare Data Recovery locates it and list it in Deleted and Lost Files list, it proves that the file can be restored.) Here is a screenshot that presents files that are listed under the "Thumbnail". Click "File Preview" to view single file as below. Step Seven: Click "Save Files" to save found files. A code is needed to activate the program and then it will allow you to save found files. 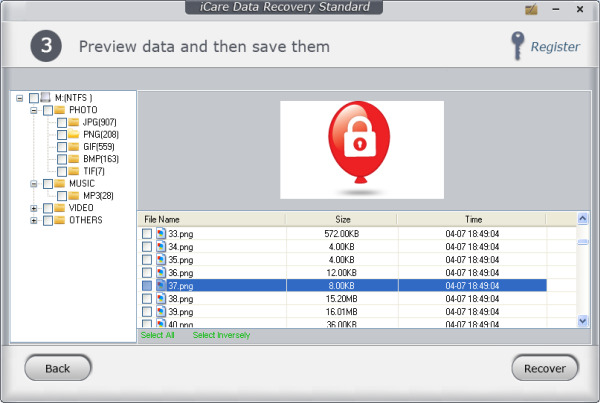 Be free to purchase a code to activate iCare Data Recovery Software.